Standard channel processing, whether inputs or outputs, includes Channel Delay, Single and Multi Channel Presets, Dual insert points, Hi- and Lo-pass filters @ 24dB/octave, four-band parametric EQ with band curve selection, Dual insert points, DiGiCo’s DYN 1 (Compressor, De-esser or assignable Multi Channel Compressor) and DYN 2 (Gate, Compressor or Ducker). 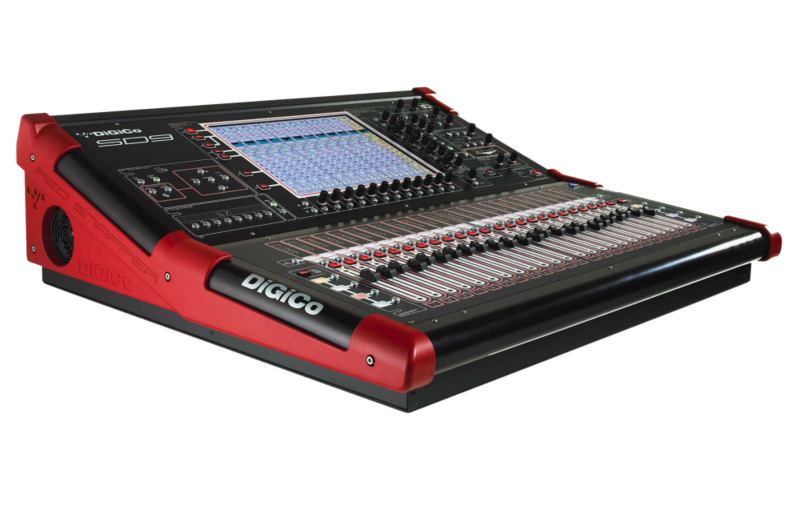 The console also benefits from eight Dynamic EQ processors, all of which can be assigned to any of the input or output channels. These powerful processors offer Dynamic processing on each of the four standard parametric bands, plus there are also eight assignable Multiband Compressors and eight DiGiTubes; and no matter how the console is set up, the user won’t lose any resources, as all channels are equipped to provide the same high quality signal path and feature set. Also included are 24 Flexi busses (mono or stereo), all of which are assignable as mono/stereo groups or auxiliary busses; and in addition to these busses, for further configurability, we’ve provided a 12 x 8 output matrix, dual solo busses, and a Master buss. Essentially, users have the equivalent of 47 busses of DSP at their disposal.